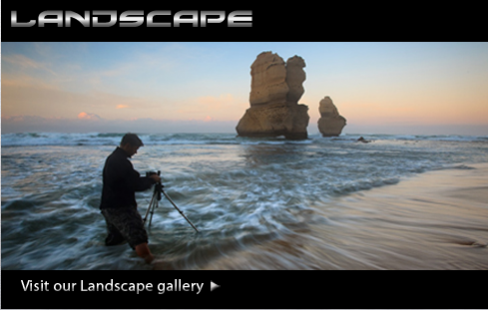 Hello, I'm Chris, a Sydney based advertising and commercial photographer. I just love taking photos and I think about photography 24/7. When I am not working, I am pursuing my everlasting thirst for knowledge and my desire to be the best I can be with the camera. Whether I am capturing an image of a breathtaking landscape, photographing a beautiful model, doing a family portrait or a product still life for an advertisement - as long as my camera is in hand, I have a smile on my face. Photography is something you learn through observation, research, experiments and practice. For the last 18 years I have pretty much been self-taught, utilising the Internet and attending many workshops, seminars and courses in order to improve my skills. I am currently studying a Higher Diploma in Advanced Digital Photography through the Australia college QED and have received a Distinction and Higher Distinction in current assignments. One of my proudest moments apart from selling my first print was winning the Canon EOS 1 Wall competition in June 2010, the subject for this competition was Twilight and I had submitted a piece taken in Mungo National Park early 2010. It featured a dead tree that to me seemed like a silhouette of a person dancing under a starry sky. One of my life's mottos has always been treat others as you wish to be treated, so you can rest assured that when you work with me you will be treated with the highest level of professionalism and respect. Your first photo shoot is exactly that. I want to see you come back time and time again. If you have an obsession ,make it your profession, never work another day". Thanks for taking the time to read about me and I look forward to working with you soon, get in touch to find out more.